The AppStore just got their own MythBusters and Braniacs as Cramzy launched a video-based iPhone app that teaches you some really cool experiments you can do in your own home with very little cost to your wallet. 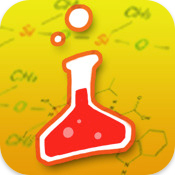 The app released just last week includes 14 experiments along with step-by-step instructions that are designed to teach users more about physics and chemistry. The good thing about these experiments is that you won’t put the house on fire and you don’t have to be a regular Einstein to do it. Most of the experiments use household appliances or items you can buy at your local store. The developers of course warn against hazards and will provide you with important safety precautions for each experiment you want to do. NASA released its first official iPhone app to let anybody in on its ongoing outer-space endeavors. The app, packed with everything wannabe-space travellers and Universe enthusiasts would require, gives you detailed info about NASA missions, including images, access to NASA TV videos and live updates via Twitter feeds. On great feature of the app is the ability to track shuttles currently in orbit. What more would you want? If you missed out on our reviews of Old MacDonald or Doodle Kids, here’s another interesting puzzle game that your toddlers can have fun with. Designed by parents to keep both you and your toddler happy, Shape Builder is the iPhone and iPod Touch app where the challenge is to put shapes of various animals, objects or figures into place. The game may not be enitrely challenging (we haven’t tested it on its target demographic, we have to admit), it can prove to be critical in the little ones’ development and growth, while giving you, the busy-busy parent, a few minutes of a breather. It’s been a while since an iPhone game designed for youngsters appealed to us as well, so much so as to have a full-fledged review on it. Old MacDonald is such an iPhone app designed for children aged 2 to 8 by parents of youngsters. The game is primarily designed to build preschool spelling skills and animal recognition, but it’s funny and interesting puzzle games will widen the attention span and build fine motor skills. The development team over at Earblast thought the kids deserved a better iPhone experience than what the App Store had to offer. And so, the iPhone and iPod Touch application Wacky Safari was born. Wacky Safari tries to develop the kids’ natural abilities, teach them interesting facts about wildlife while giving them the opportunity to have a wacky good time while they’re at it. The app features 5 different game modules providing your kid with hours of laughter and entertainment. Mix and Match (1 & 2) lets you put together photos of animals like giraffe, gorilla or an elephant. Simply swipe your finger across the part of the photo you want to flick, and the next photo appears. Match the three different parts of a photo to discover beautiful wildlife. With Wacky Phone you get to call your animal friends and hear them say the wackiest of things. Play the Safari DJ with Paw Jam with three different paws to choose from and create wacky sounds. The game module works similar to a sound board of sorts. Laugh & Learn will provide your kid with interesting facts and jokes with and about their favorite safari animals.